On the login page, click on Register button. You have to fill the form. 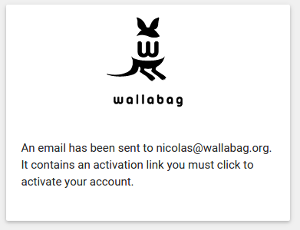 Please sure to type a valid email address, we&apos;ll send you an activation email. 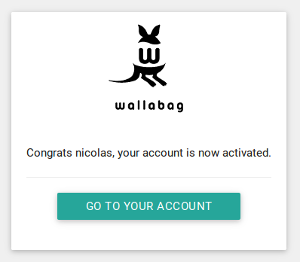 Check your inbox, you now have a new mail with a link like this http://wallabag/register/confirm/Ba19wokGovN-DdBQNfg4YgRkUQWRP4-k2g0Bk-hBTX4. Click on it to activate your account. Your account is now enabled, congratulations! 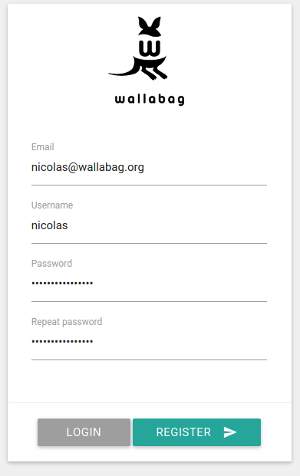 To login to wallabag, fill the form on login page. 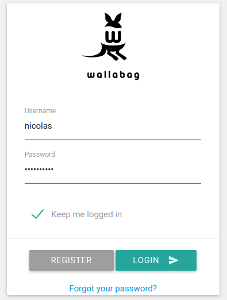 If you are on your personal computer and you want to stay connected, you can check the Keep me logged in checkbox: wallabag will remember you for one year.